Jen recently captured photographs of the Love Grays launch event. A pleasure to work with from initial conversations through to sign off, Jen really captured the positive community feel of the event whilst delivering the brief agreed prior to the day. Jen has done a fantastic job in capturing the project and in adapting to the unpredictable nature of it. She had a specific and unique role as she also co-ordinated the commentary on social media for the project. She has the ability to organise and adapt positively and I hope to work with her in the future. Working with Jen is like you’re simply creating a fantastic opportunity without having to think about it. Her pro-active approach and can-do attitude means you can get on with your area of work in the safe knowledge that the project is going to happen successfully without having to spend lots of time overseeing it or answering questions. I found working with Jen easy, flexible and enjoyable – all the attributes needed for a successful working relationship. Totally Tilbury simply would not have existed without Jen Farrant. Her passion was constant and inspiring, but not without incredible focus and attention to organisational detail. She also did whatever was necessary, whenever it was necessary, regardless of whether it was supposed to be her job or not! 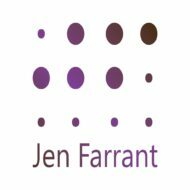 If you want something done – fast, well, efficiently – ask the busiest woman you know … and that’s Jen Farrant. She crackles with energy, ideas and know-how: vague concepts turn into concrete actions in her hands. Jen was incredibly supportive throughout the process of setting up my Youth Dance Company. She was very flexible and willing to accomodate meetings with me to fit around my work schedule, whether they be via Facetime or in person. I felt like she had a genuine passion for the project and she was always enthusiastic even when sometimes I was getting disheartened – thanks for all your help and advice Jen!